AMY BLOOM is the author of three novels, three collections of short stories, a children’s book, and a collection of essays. She has been a nominee for both the National Book Award and the National Book Critics Circle Award. She teaches at Wesleyan University in Connecticut. She is the editor of New Haven Noir. Lisa D. Gray has been named the recipient of the Mystery Writers of America’s Robert L. Fish Memorial Award for her story, “The Queen of Secrets”! John Crowley’s “Spring Break” has won the 2018 Edgar Award for Best Short Story! 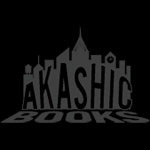 Akashic Books continues its groundbreaking series of original noir anthologies, launched in 2004 with Brooklyn Noir. Each book comprises all new stories, each one set in a distinct neighborhood or location within the respective city. Amy Bloom masterfully curates a star-studded cast of contributors, including Michael Cunningham, Stephen L. Carter, and Roxana Robinson, to portray the city’s underbelly. Brand-new stories by: Michael Cunningham, Roxana Robinson, Stephen L. Carter, John Crowley, Amy Bloom, Alice Mattison, Chris Knopf, Jonathan Stone, Sarah Pemberton Strong, Karen E. Olson, Jessica Speart, Chandra Prasad, David Rich, Lisa D. Gray, and Hirsh Sawhney. New Haven may be a noir town but, even though noir usually manages not to, we have heart. The chance to bring together some of my favorite writers, in my adopted hometown (in every place I bartended, the cook or the manager carried a .38 in his waistband, and I can still make ten kinds of boilermakers), was a joy and a privilege. Every single story is a noir gem . . . If you are an optimist, noir may be an antidote, a crisp, dry balance for your sunny outlook. If you are a pessimist (or, as we say, a realist), noir is your home ground, your tribe. It’s not just that you expect ant to come to the picnic; you know damned well that there will be ants at the picnic. When they come, you’re relieved. When they crawl up your brother’s leg, you’re reassured and possibly delighted. But the other side of noir is the moral center. Te center may be shabby, frayed, and in serious need of a facelift, but it is a center. It’s not necessarily heroic. It’s likely to be cynical, and its resilience is not the showy kind. Mean streets , as Raymond Chandler once said, but not mean. 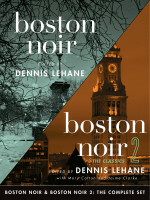 Read about the release of New Haven Noir in the Portsmouth Review. Read an interview with New Haven Noir editor Amy Bloom and contributor Hirsh Sawhney over at the New Haven Register. Read an excerpt of Amy Bloom, Roxana Robinson, and Sarah Pemberton Strong‘s New Haven Noir stories at the Daily Nutmeg. Read Amy Bloom’s interview with the Daily Nutmeg here, and listen to Amy Bloom discuss New Haven Noir on WNPR’s The Colin McEnroe Show. Listen to New Haven Noir contributors Hirsh Sawhney and Alice Mattison’s interview with Dateline New Haven.